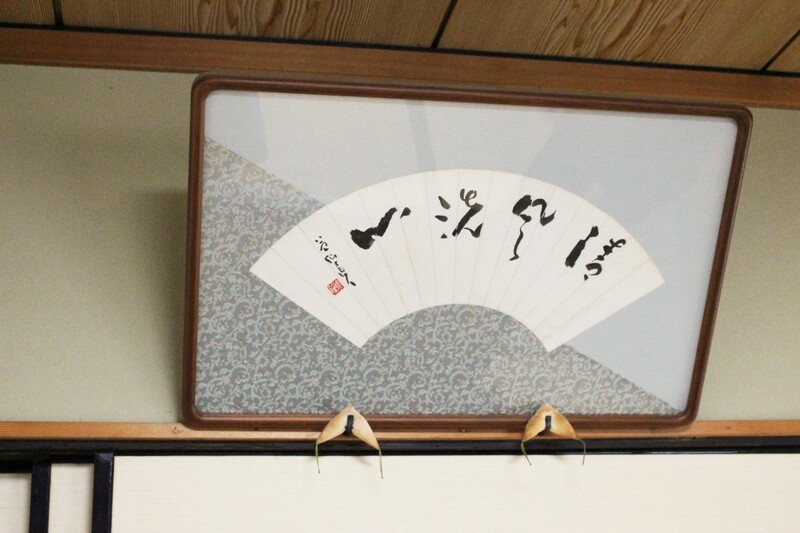 平常心（びょうじょうしん） : presence of mind; This is a Zen saying read as "byoujoushin," although the word is commonly read as "heijoushin." 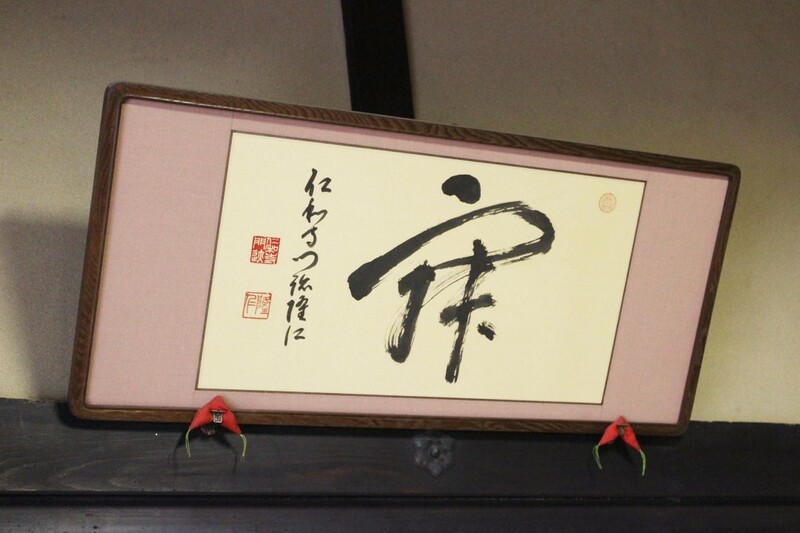 Why does the Buddhist priest practice calligraphy? 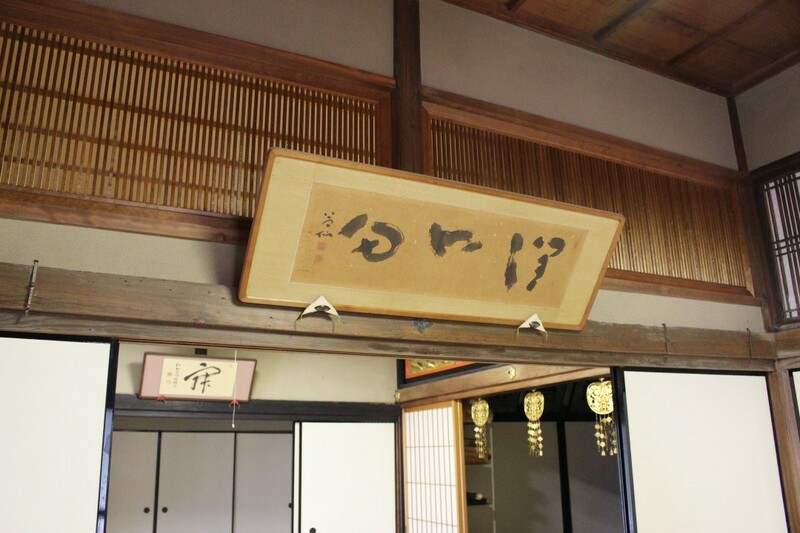 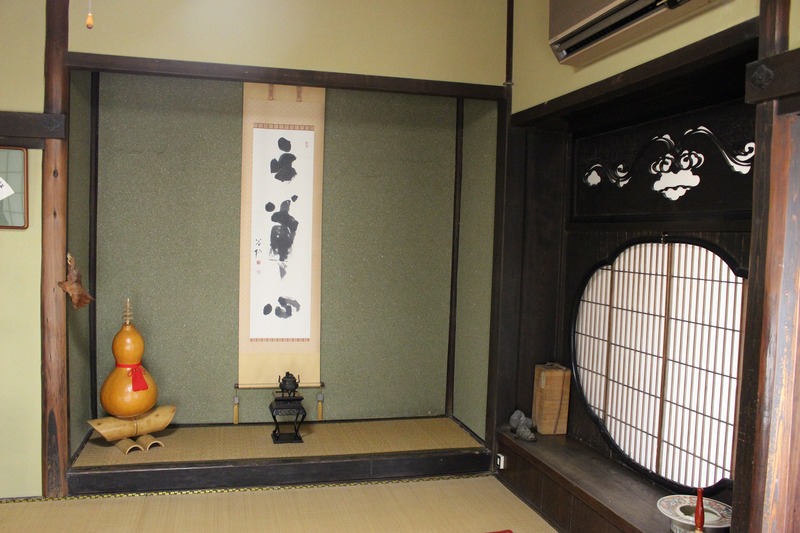 What thing was the displayed calligraphy originally written in?